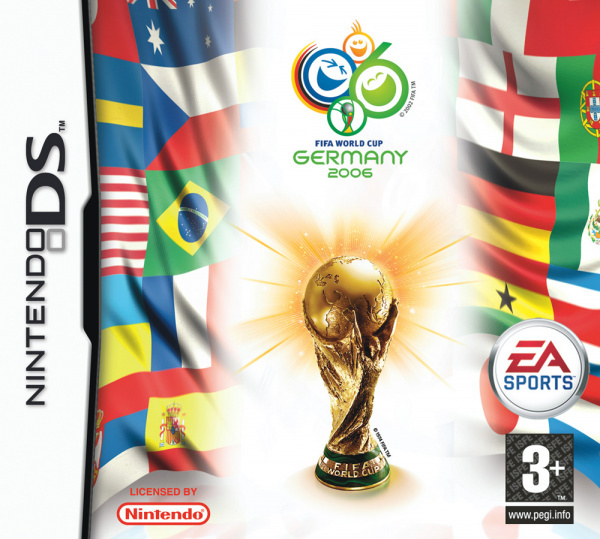 Sorry, no review of 2006 FIFA World Cup Germany yet. 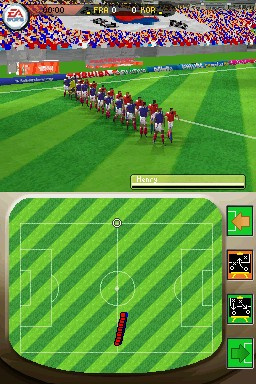 Lead your team to a historical win at the greatest football tournament of all! 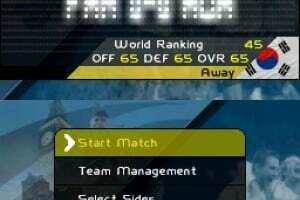 Whether you’re playing with the favourites or hoping to earn an upset with the underdogs, 2006 FIFA World Cup Germany brings the competition to life in vivid detail. 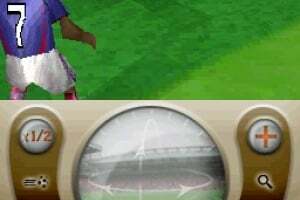 All of the world’s most supremely gifted players are here – take on or play as the likes of Rooney, Henry and Ronaldinho! 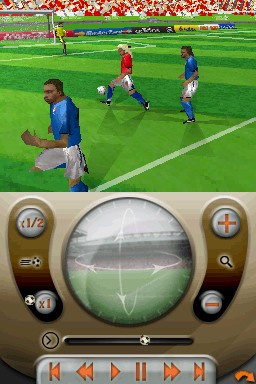 Players have been digitally reproduced to stunning effect, but FIFA offers more than just a graphical likeness. 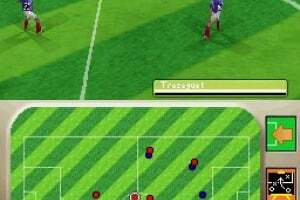 All the skill, flair, and individual playing styles of the superstars have been captured in FIFA World Cup’s electrifying gameplay. Featuring 12 of the official stadiums that will be used in the 2006 World Cup and all 32 of the teams set to feature at this year’s event, now you can enjoy every moment of the Cup’s carnival atmosphere. 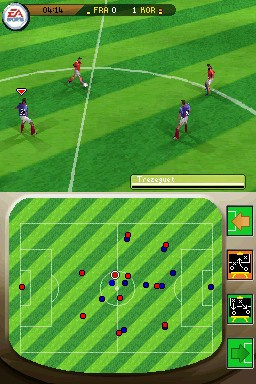 Pitch yourself against unforgiving computer controlled opposition, or take on a friend in a multiplayer match. 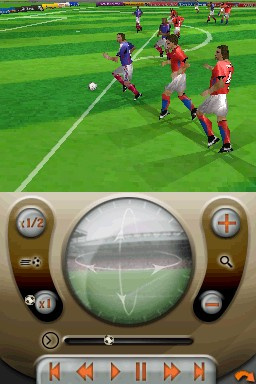 Experience greater control during gameplay with the touch screen; use it to exercise total control during set pieces, or tinker with formations and tactics. 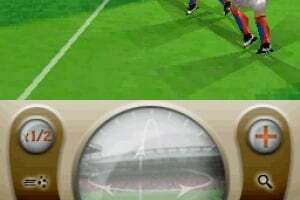 Five new Skill Challenges let you work on your ball skills or simply exhibit your trivia knowledge about the FIFA World Cup. 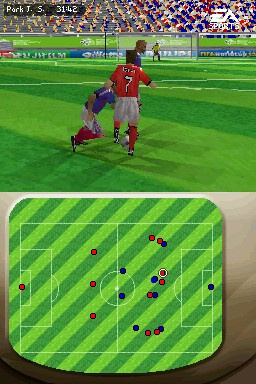 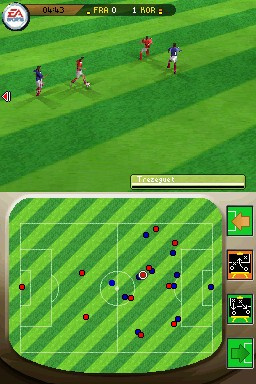 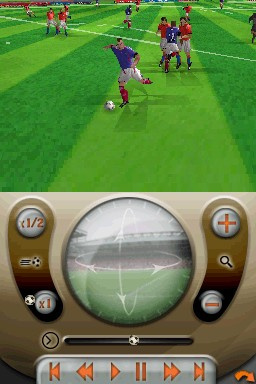 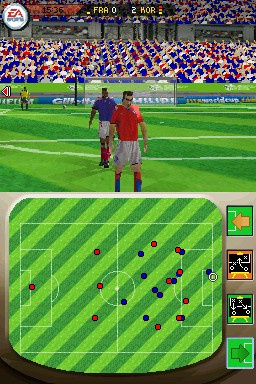 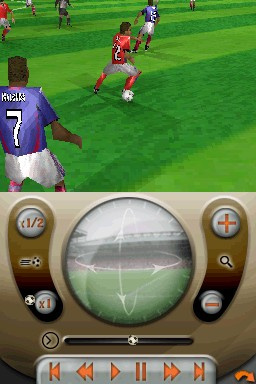 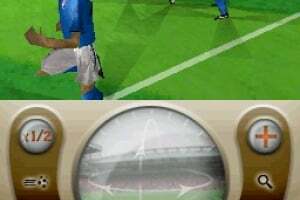 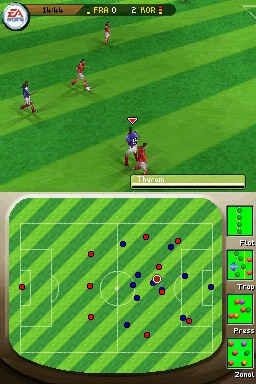 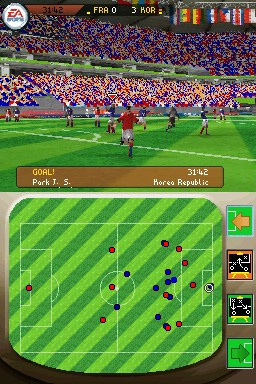 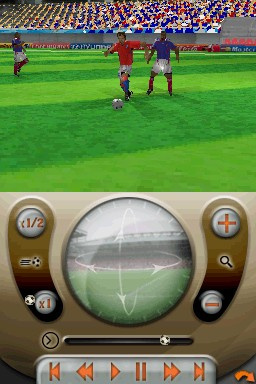 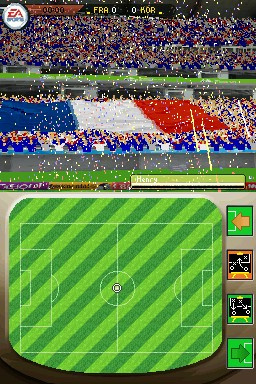 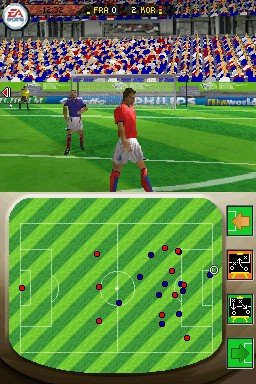 The game features a full commentary to accompany the action, and there are even 3-D, user controlled replays if you want to relive a moment of pitch-side magic again and again. 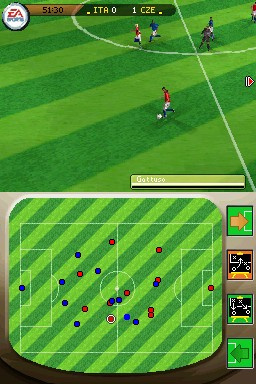 · Play with the stars; attributes like ball skills and playing style have been re-created for each player. 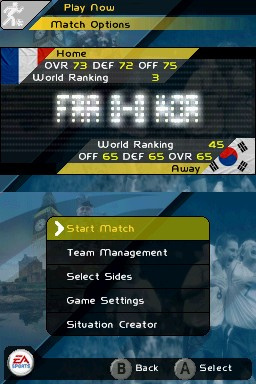 · Compete for the greatest prize in football, from qualification right through to the FIFA World Cup Final in Germany. 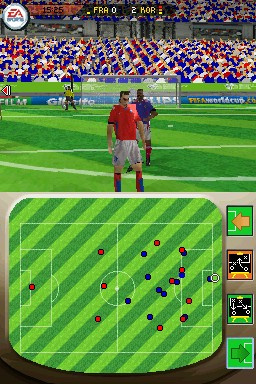 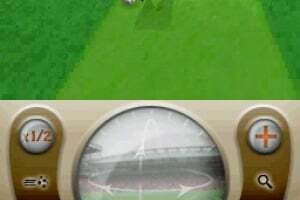 · Replay classic moments from FIFA World Cup history in Global Challenge mode. 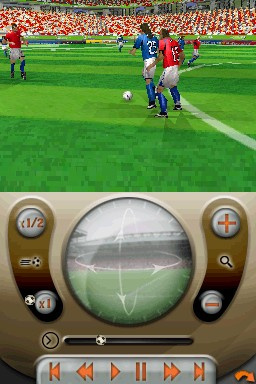 · In penalty shoot-outs, use new moves to distract the goalkeeper or unnerve the penalty taker. 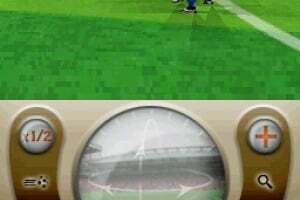 · Context sensitive shooting; player ability, pressure from defenders and distance from goal all contribute to the success of your strikes. 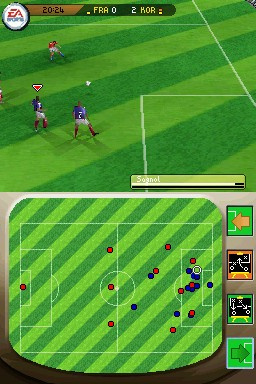 · Wireless multiplayer option lets you and a friend go head to head against each other.